LEO RECORDS: CD LR 724: Zooom Trio; Christian Lorenzen - What's for Dessert? 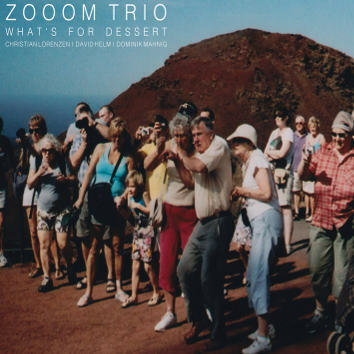 Zooom Trio offers a rich musical debut with their album "What's for Dessert." You're hearing a new kind of virtuosity in this trio, where content reigns over empty athletics. As Gerry Hemingway wrote: "With the almost forgotten Wurlitzer piano, a fat and rich drum kit with all the extended trimmings and a wood-warm acoustic bass, it's all together an engaging listening from start to finish, and assures me that there are invigorating new musical possibilities emerging from our next generation of musical inventors." Christian Lorenzen - wurlitzer, el.piano, synth, David Helm - bass, Dominik Mahnig - drums.